A hot home entertainment item for 1950.....Copy tape to disk or disk to tape. 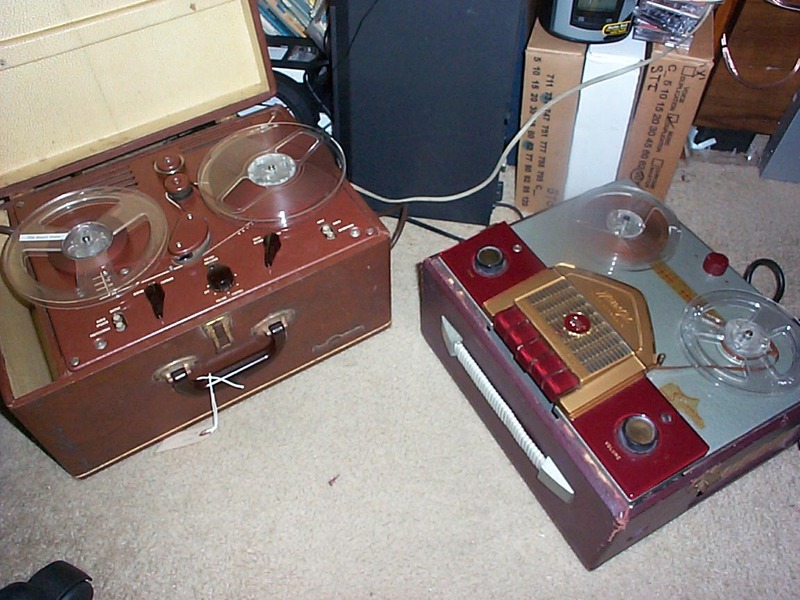 Technical: Disk recorder: 78-RPM Recording Time 4 minutes per side. R-R 3-3/4 ips 1/2 track. Recording time 30 min per side ....Manufacturer: Wilcox-Gay Corp., Charlotte, MI. Model 3Axxx The cost around $200. 1950 dollars. This is typical of the hand held crystal microphones supplied with your recorder. The microphone was the device used to create the audio memories and fun. We concealed the microphone and engaged others in conversation, and played it back. Often the first time people heard their own recorded voices. The comment was, "Do I Sound Like That?" We recorded everything, just like we take pictures today with our video recorders. 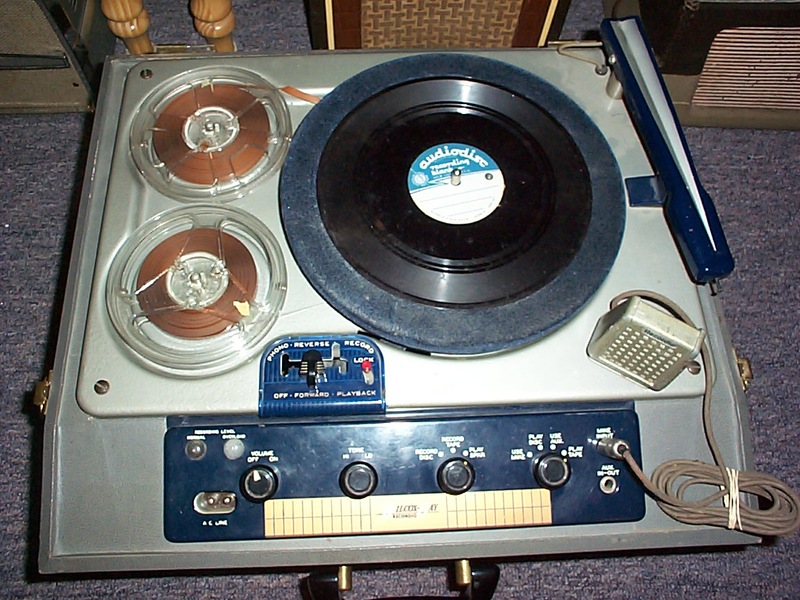 These reel to reels were our hi-tech recording devices of the day. 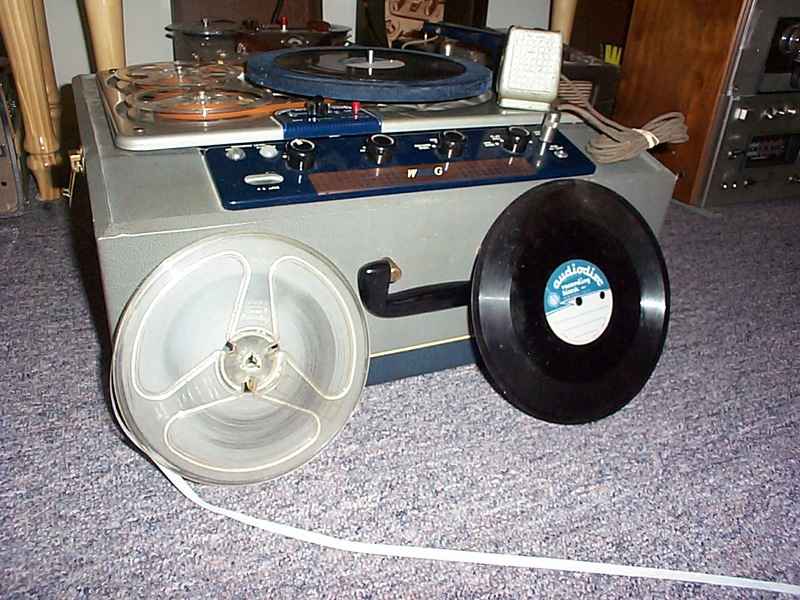 The "Big and "Little" of Webcor A great way to enjoy your Reel to Reel ! "Itty bitty" tube tester......Olson Radio Warehouse!